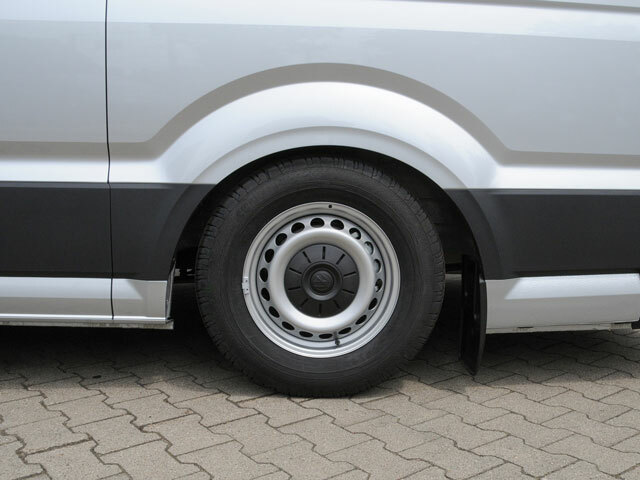 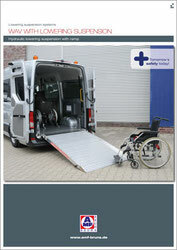 The lowering suspension is a particularly quick and simple solution for transporting wheelchairs. 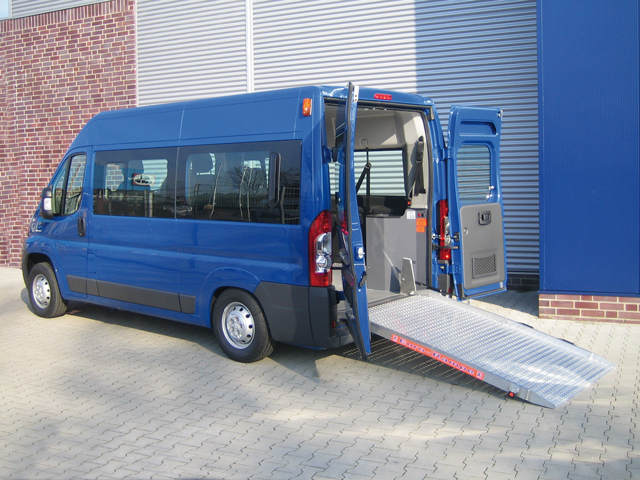 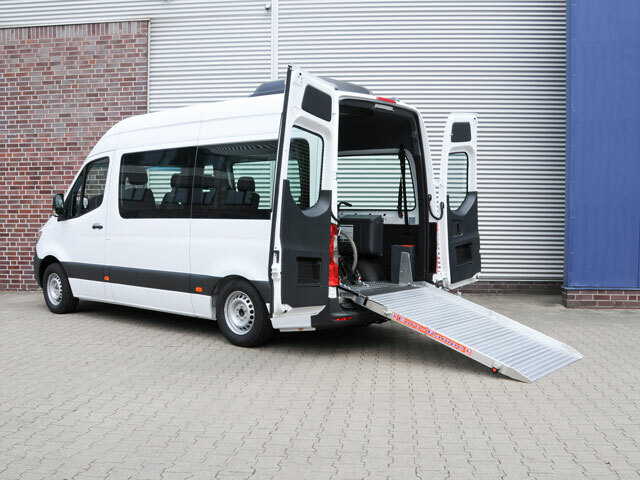 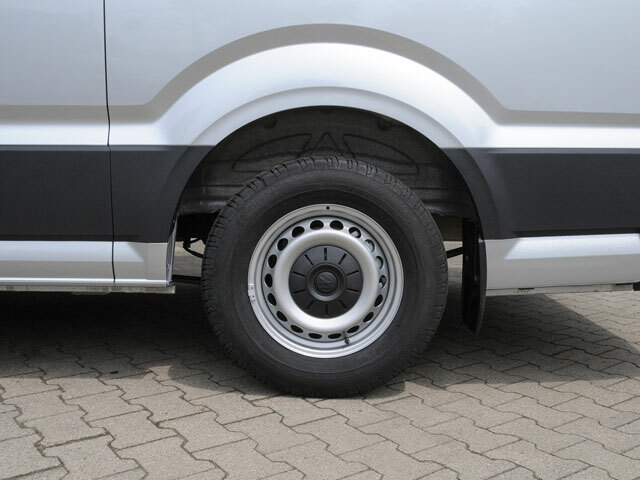 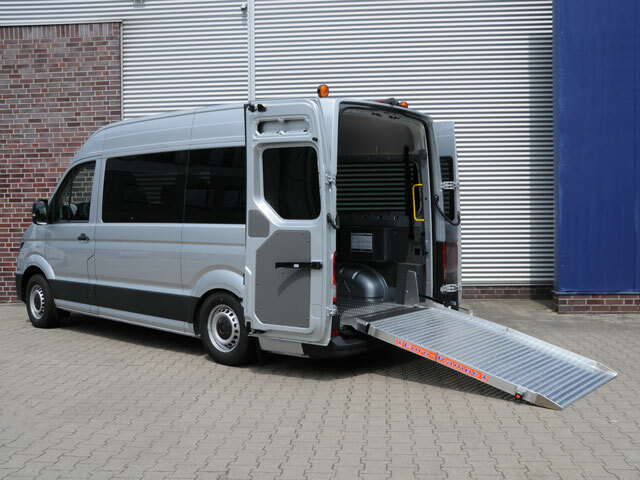 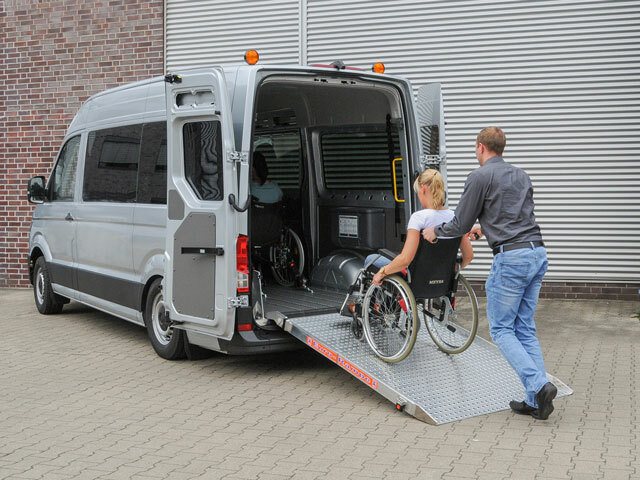 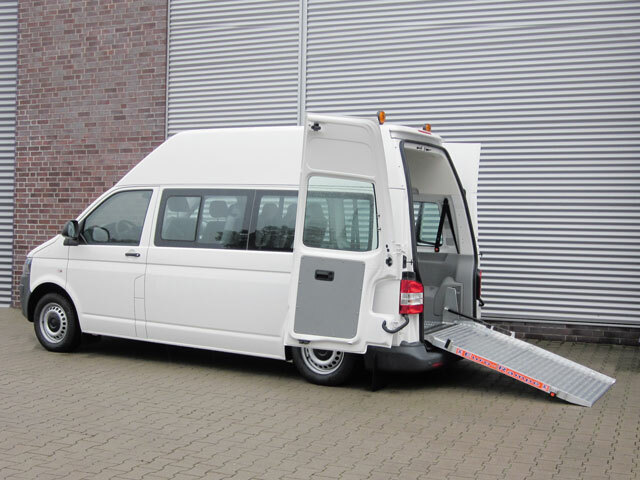 The rear of the vehicle is lowered within seconds, allowing easy access for the wheelchair via a short ramp. 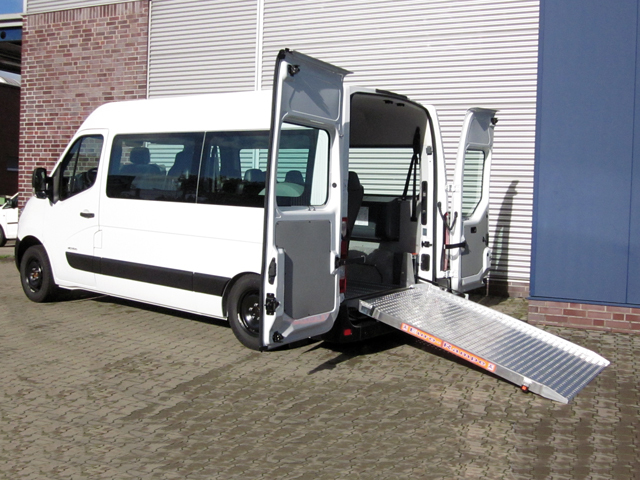 Unfolding the ramp is very straightforward. 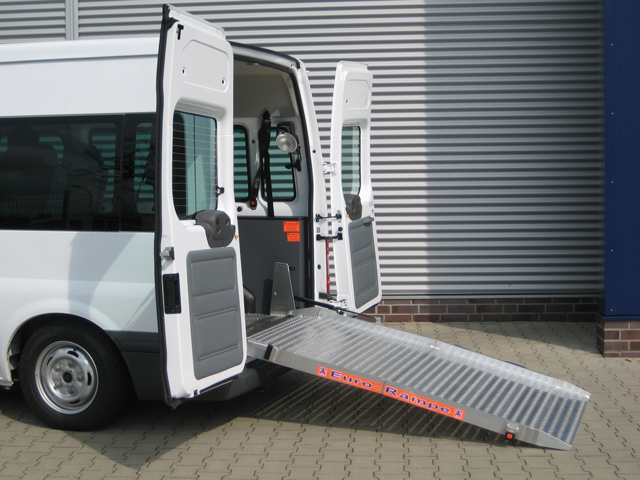 After the ramp has been stored ready for departure, the system lifts automatically on closing the tailgate.